While Doug Polk is struggling with his bankroll challenge, Natural8 Ambassador Rinat “ZamazkaTV” Lyapin has just turned $100 into $10,000 in 8 days. This impressive achievement was part of a giveaway organised by Natural8 which rewards players who manage to climb the bankroll mountain of turning $100 into $10,000 while streaming the process on Twitch. 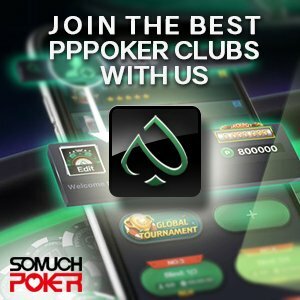 The poker room will give any successful player a bonus $10,000 and have already paid the prize out to two players including ZamazkaTV. There is one prize still up for grabs, and the next player to complete the challenge will pick up a $10,000 bonus. All sessions of play are audited to ensure fairness. Natural8’s very own ambassador Rinat ‘ZamazkaTV’ Lyapin is the latest to have completed the challenge, somehow accomplishing the feat in 8 days. He played mostly PLO cash sessions, one of which extended to 25 hours. After beginning at 5c/10c, he slowly moved up to $5/$10, sprinkling some MTTs into the mix as he went. After almost going broke on a few occasions and applying terrible, yet brave bankroll management, the Russian pro managed to reach the $10,000 milestone playing at total of 28,000 hands on the process. Rinat began his poker path by working at freerolls and reading poker books in 2006, soon rising through the ranks to grind sit & gos professionally. He then took to live poker, winning $20,000 at the 2008 Russian Spring Tournament before taking 1st place in the 2012 Ukraine Poker Championship for 22,000 Euros. He has continued to be successful both live and online, ever since.